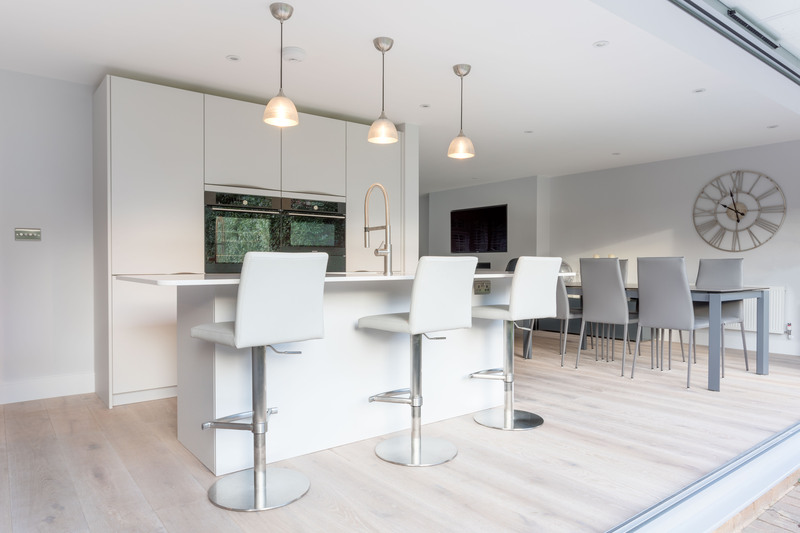 We received a brief from one of our contacts, Property Partnership, a local building Company, to design a kitchen for one of their clients who was having an extension built. Fred produced drawings based on the extension plans given, and as is often the case, the plans changed…. The client, Jane from Camberley, had a clear idea on the overall look she wanted to achieve - light colours, a gloss finish and handless furniture and she had loved the kitchen Fred had designed for her just from the plans and brief alone, so she came into our Chertsey showroom to meet Fred in person and discuss the changes, incorporating the best attributes of the original design into the new plan. A key feature of the new space was the large bi-fold doors looking out into the garden, bringing lots of light in and giving the space a large and open feel. 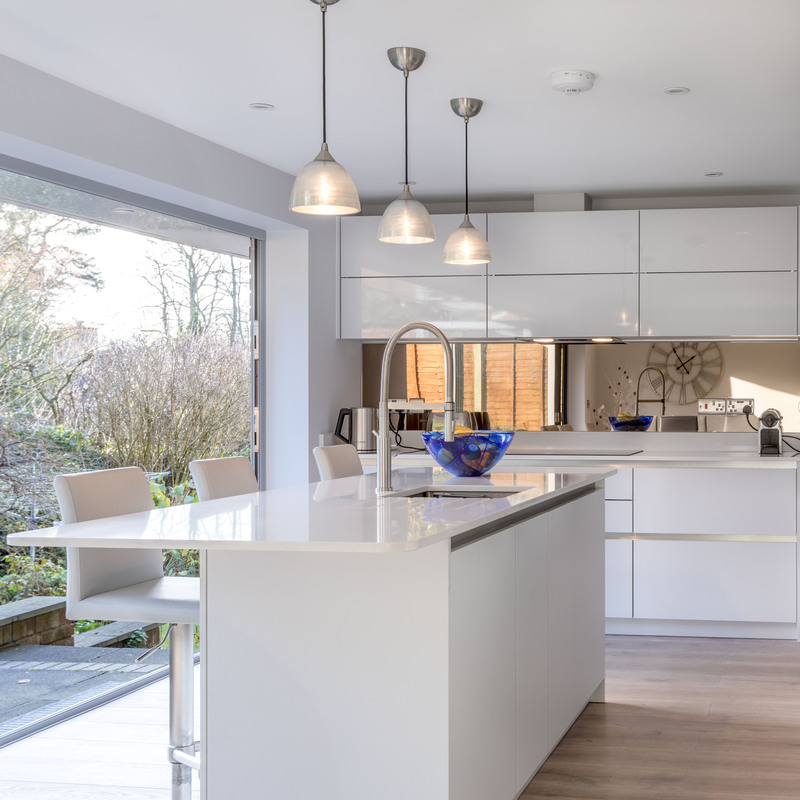 The island dimensions were slightly adjusted to accommodate the changes in the new layout, ensuring plenty of space to access units and walk around the kitchen. 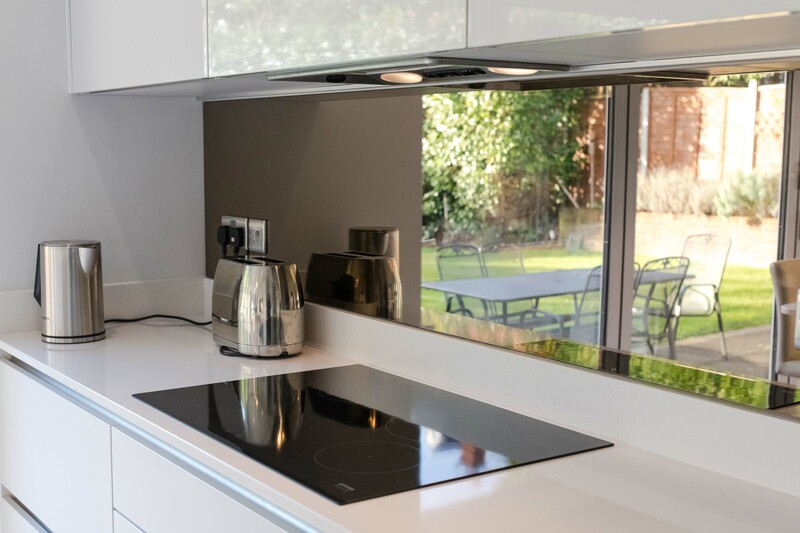 With a sleek, streamlined design it’s often a good idea to add texture and we did this by using both matt Bergamo and Como gloss doors in Platinum Grey, as well as handless and integrated handles on the furniture. Jane had mentioned she liked the bronze mirror wallpanel she’d seen in our showroom. This helps to bring warmth and the illusion of depth to the kitchen. 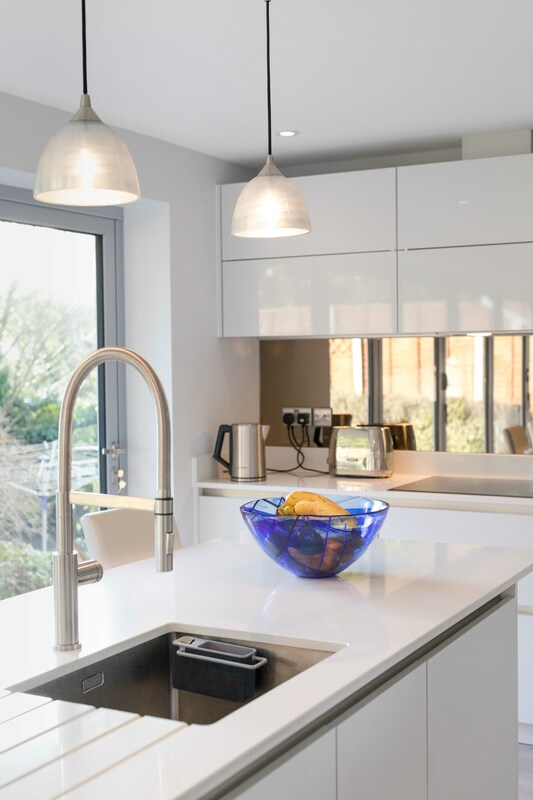 A white fine flecked quartz was used on both the island and main worktop keeping the light, bright feel to the kitchen that Jane was looking for. 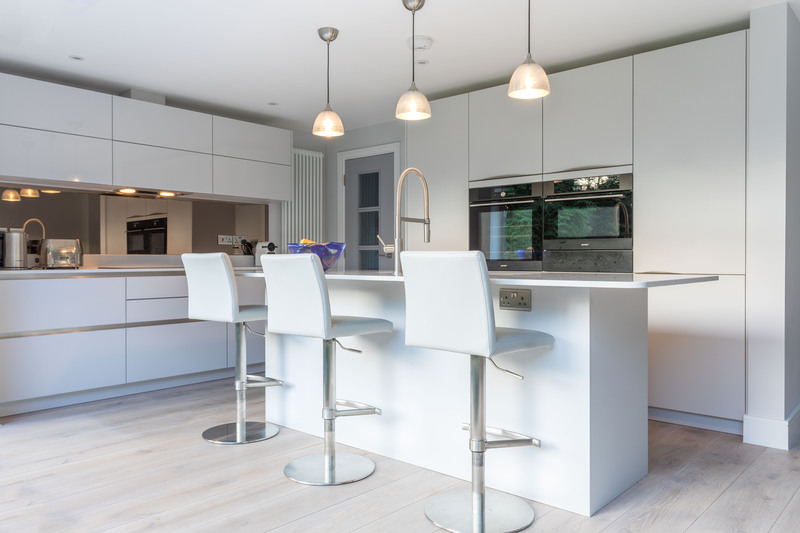 We’re delighted to learn from Property Partnership that "Jane loves the kitchen. It fits really well and she loves the island, the appliances and every aspect of the project. When installing, the fitters said it was the best kitchen they had fitted and was a pleasure to work with”.